The remains of a 4,500-year-old sauna have been discovered by archaeologists excavating a Stone Age temple. They unearthed the foundations of the building at Marden Henge, near Devizes in Wiltshire. Located close to the River Avon, the neolithic ‘sauna’ was in a key position overlooking a ceremonial area at the site. English Heritage’s Jim Leary said: ‘The building brings to mind the sweat lodges of the native North Americans and the reason for that sauna or sweat lodge interpretation is that the floor plan was utterly dominated by a large hearth – so large in fact there does not appear to be any space for living, cooking or doing anything much at all. ‘It is also located very close to the River Avon and would have had a ready source of water, which is a necessary criteria for a sweat lodge. ‘If it was a sweat lodge then perhaps one could envisage it being used for purification ceremonies within the henge. 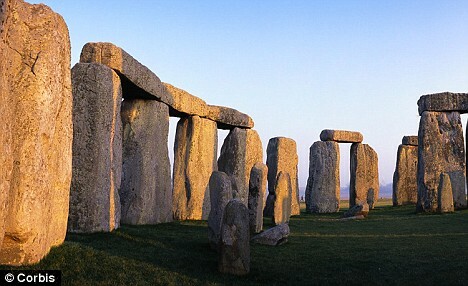 Marden Henge, which has no standing stones, is located on a line which connects stone circles at Stonehenge and Avebury but remains a mystery for archaeologists. 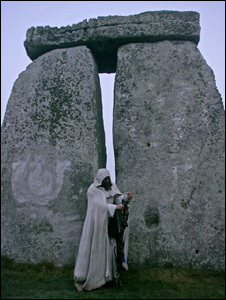 Some believe the huge Stonehenge megaliths were stored there after being dragged from Avebury.